If you have any questions or want to enquire about dates, use our form to contact Antonella Dossetto or see their website for more information. 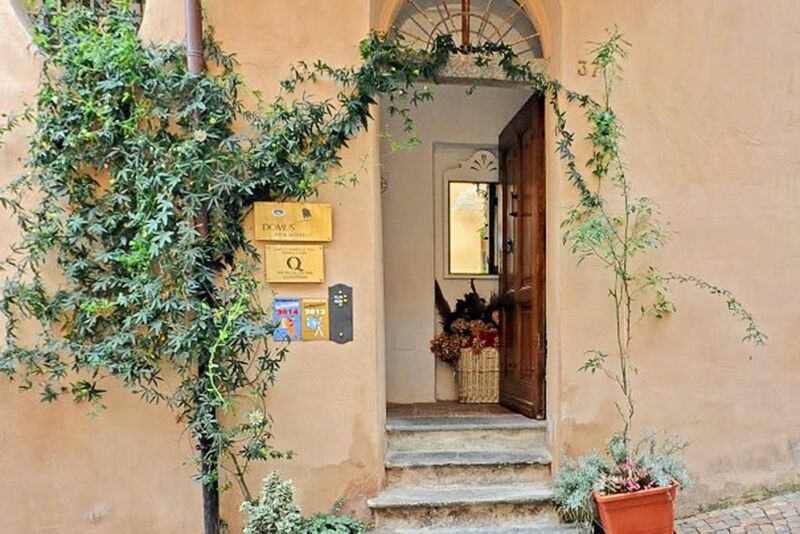 Within the city walls and wound into a network of cobbled streets, this ancient house is on a sloped street that leads to the main square and a collection of small quaint shops and restaurants. Mrs Dossetto, her husband and four children live here too and will greet you warmly, but the whole of the first floor is given over to guests. You’ll feel very much at home in the living room with its oak ceiling and doors, comfortable chairs around the fireplace and a big oval dining table for the freshest, mostly organic, breakfasts. Tuck in to homemade cakes and bread, local jam, butter and yogurt – good coffee too! Roam around the historic centre – castle, convent, medieval abbey, a plethora of frescoes; hike in the mountains, nab a bike to go further afield, or hop in the car for day trips out. Return to large, light bedrooms with brightly coordinated colour schemes and antique furniture, freshen up in old-fashioned but spotless bathrooms. It’s a real treat to wander out into all that history to find somewhere for an evening drink, then to try the local dishes – plenty of game, truffles, Lasagne albesi. Singles €65-€70. Extra bed/sofabed available €25 per person per night. Have you visited Domus Aurea? Be the first to leave a review.